Although it has a relatively low ranking in terms of the World Economic Forum’s Networked Readiness Index (123rd of 143 in 2015). 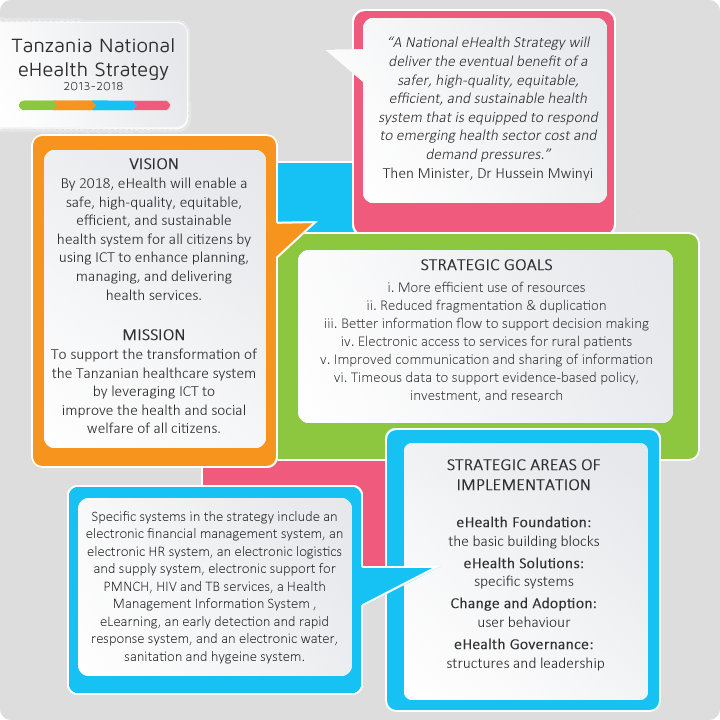 the ICT environment in Tanzania is rapidly changing, in large part because of the Eastern Africa Submarine Cable System and the National ICT Broadband Backbone. The increased competition in both the voice and data markets has led to reduced pricing though it is still considered relatively expensive. HRHIS3 is used for Data collection, Storage, Analysis, Reporting and Dissemination of Human Resource for Health Information. 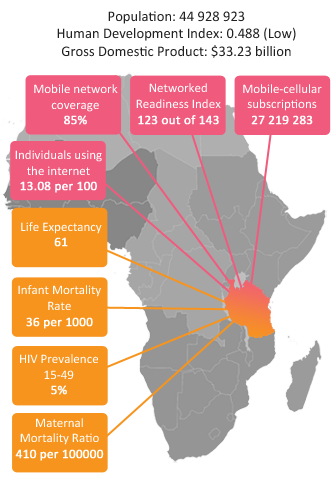 The ILSGateway is an mHealth solution rolled out in 4616 health facilities to track 20 essential medicines, and family planning and malaria products to avoid stockouts. eLMIS has been rolled out nationally in every district to automate data for health logistics management, helping ensure that there are adequate quantities and quality of health products.